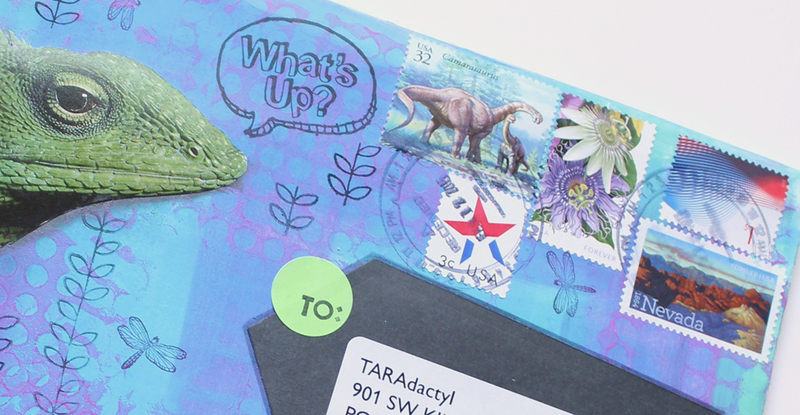 This was dino-themed envelope for my pal, Emilie. 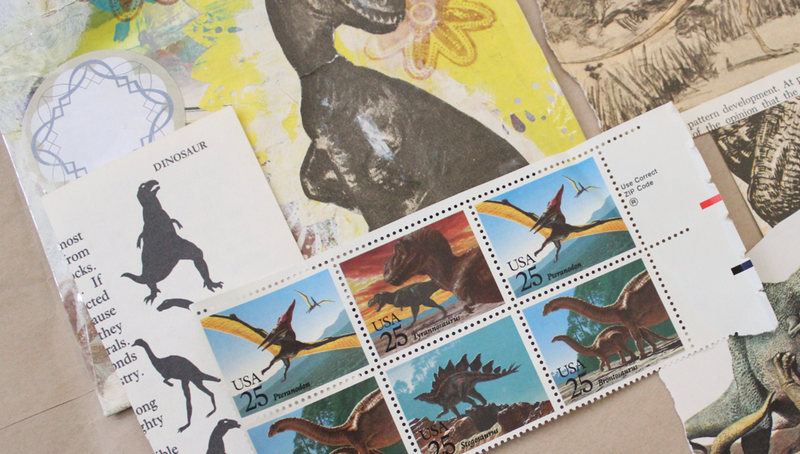 She loves dinosaurs and, since I’m a pterodactyl, I have a lot of dino things. 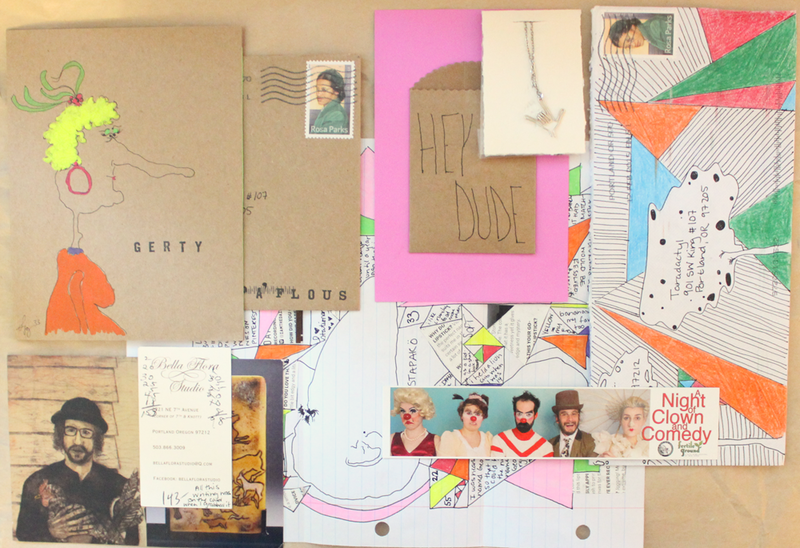 Emilie and I have been pals for a long time now and I absolutely love exchanging mail with her. Although it can be hard to try and find new things to include in my letters. I’m sure she has received her fair share of duplicate items from me! I receive a lot of amazing things in my mailbox almost daily. 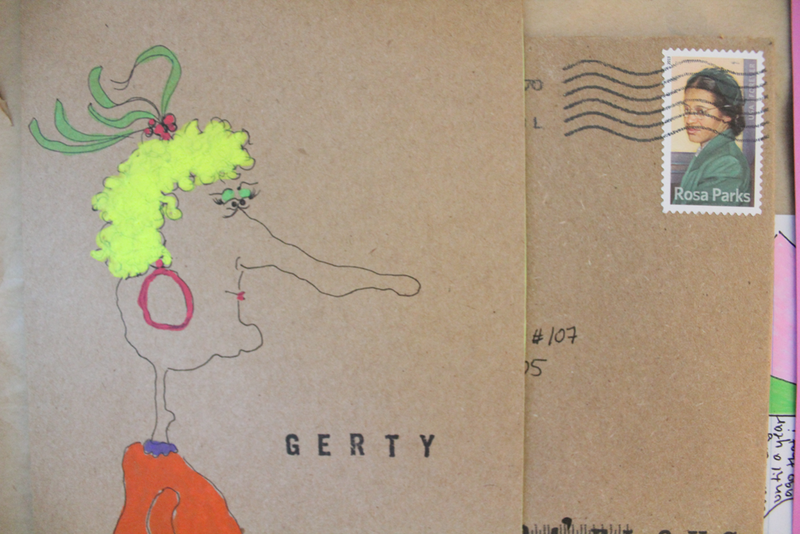 I thought it would be nice to feature some beautiful mail art here and there. I’m super excited to introduce you to Samantha, aka Supa’flous. I met her, in person, at the Portland Correspondence Co-op. We just happened to sit at the same table, and she was there with no prior knowledge of mail art but with a love for sending mail. After the event started, we ended up talking a bit and exchanged stories of how we started sending mail. I told her about mail art and the kinds of things I sent and received in the mail. We ended up exchanging addresses (because that’s what you do!). 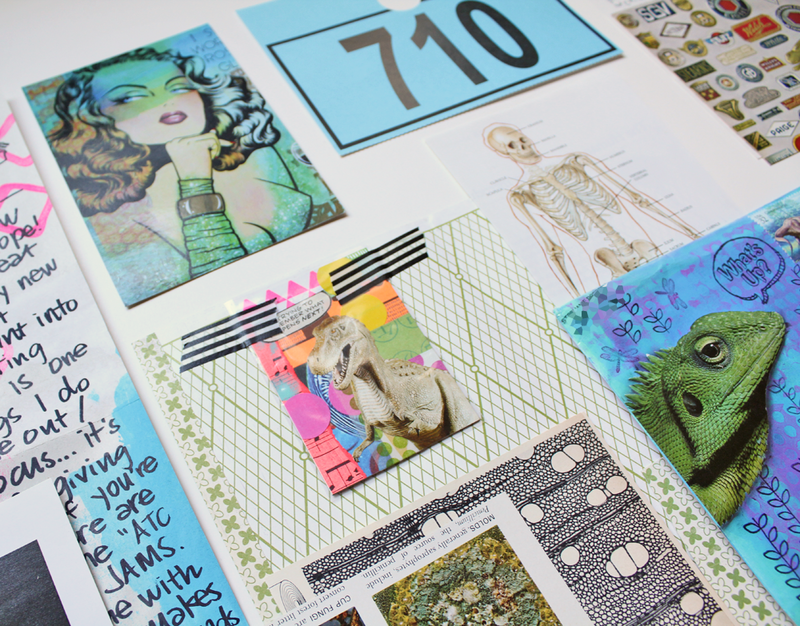 I sent her the first letter, and I went all out to introduce her to mail art. 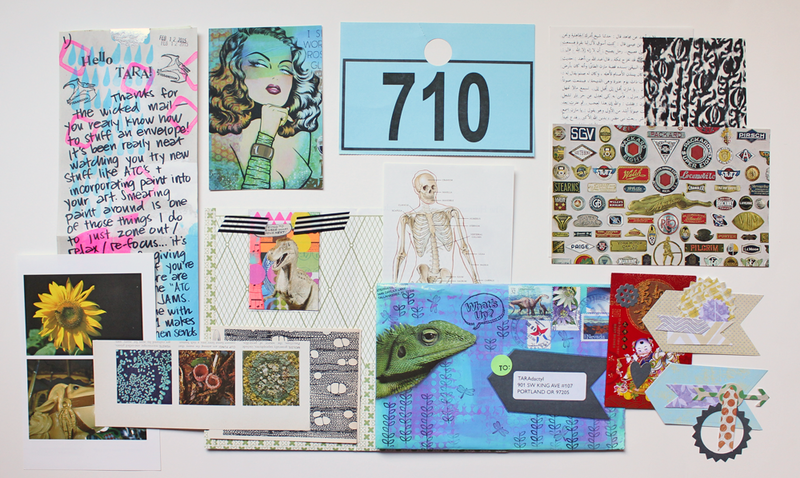 She sent me two lovely envelopes in return! Quickly, too. Don’t you just love her little characters? She drew some at the event, and they are so cute! 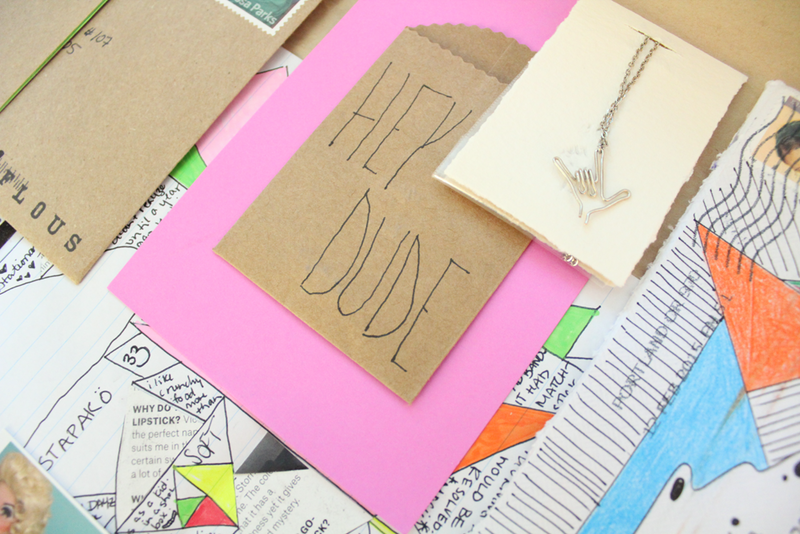 She also sent me that super cool necklace she made. What a generous person! You should definitely check out Samantha’s website! She also has an Etsy, but it looks like she is on vacation at the moment. I’m sure there will be some super cool things for sale soon! 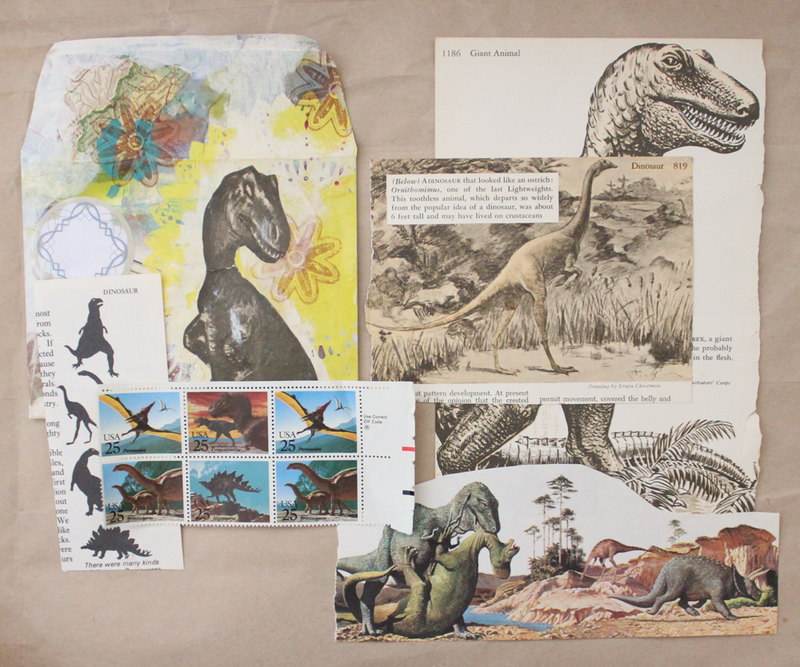 I’ve been a busy mail artist; collaging stationery and envelopes. 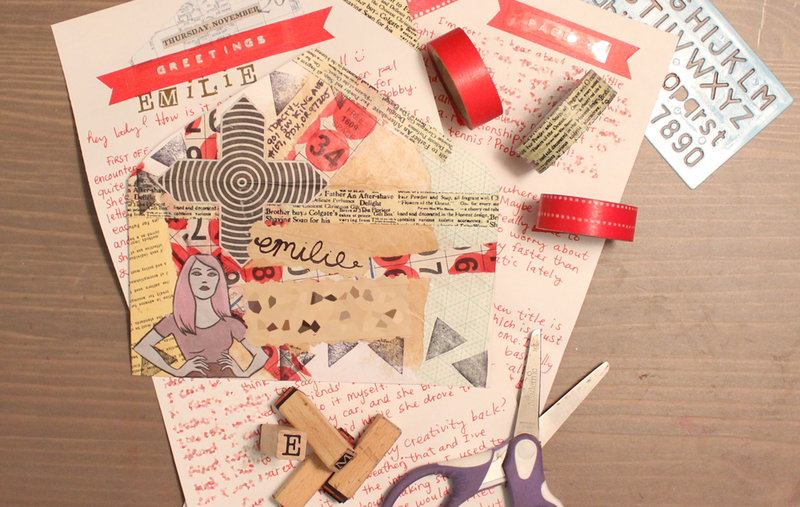 Here is a recent letter I sent to my pal, Emilie.